In a bizarre move tinged with “black humour” the anti-Muslim, Bodhu Bala Sena(BBS)is planning to form its own Muslim unit within its organizational structure in the near future. According to informed sources close to the BBS, the organization will be revamping and expanding its organizational structure by establishing units at grass root level to promote social development. Youths are to be selected and trained and then deployed as village based units to engage in social development activities on the lines of India’s Rashtriya Swayamsewak Sangh(TSS)which engages in lots of rural development work. The BBS leadership training academy that was ceremonially opened at Galle last month by Defence and Urban Development Secretary Gotabhaya Rajapaksa will conduct training courses for the new recruits it is learnt. The BBS is also seriously contemplating the establishment of a Muslim unit within its organizational structure as part of its re-structuring. According to informed sources the Bodhu Bala Sena is considering the idea of setting up a Muslim unit within its ranks for specific reasons. Basically the BBS hopes to demonstrate to the world that it is not anti- Muslim as depicted by showcasing the Muslim unit. It is pointed out in this regard that the Ultra Hindu right wing Bharatiya Janata Party (BJP) in India has a Muslim membership within its folds to deflect criticism that it is a communal organization. Even the notoriously anti – Muslim Narendra Modi the BJP chief minister of Gujerat state in India has Muslims with him though he has been accused of anti -muslim activity. Though detractors have described the Muslims within the BJP as “token”Muslims the party continues to flaunt them as proof of its non –communal credentials. Furthermore it has been statistically proved that a segment of the Muslim population in North India particularly in Gujerat does vote for the BJP at elections. One reason attributed for this behaviour is fear on the part of the Muslim minority and the reluctance to confront the Hindu majority. It perceives its interests being preserved by the hardline Hindu party if political support is extended. The BBS is calculating on this basis that a lot of Muslims would opt to join its ranks -if an opportunity is provided – thereby ensuring its protection. The BBS is also working on the basis that there is an ideological split within the Muslim community between what it calls conservative moderates and radical fundamentalists.The BBS describes the former group as “traditional”Muslims and the latter group as “ extremists”. The Bodhu Bala Sena has been claiming that the Muslim community is predominantly “traditional” and that the fundamentalist faction has usurped community leadership despite being a minority faction. The BBS has tried to rationalise and justify its venomously virulent anti –Muslim campaign by saying it is not against the traditional Muslims and that it is only challenging some practices fostered by the Fundamentalists among Muslims.The Attire of Muslim women and Halal certification are some of the issues in this respect according to the BBS. Ironically the BBS has described its anti-Muslim activity as an effort to liberate the Traditional Muslims from the clutches of the Fundamental Muslims.It claims that much information about Muslim activities are divulged to them by fellow Muslims. Against this backdrop the BBS is optimistic that if and when a Muslim unit is established the organization would be able to attract a sufficient number of Muslim members. It is also hopeful that three Muslim Parliamentarians in the Government would help the BBS to recruit Muslim members.Two are elected from the Central province while the third is a national list MP. The Bodhu Bala Sena is very happy over the role played by one of these Parliamentarians in the recent “Fashion Bug” attack incident.The young Muslim deputy minister played a crucial role in whitewashing the despicable part played by the Bodhu Bala Sena in this regard. 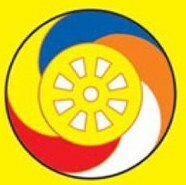 When asked about how the BBS would satisfy its hawkish Sinhala Buddhist base over the Muslim unit within the organization when its ideological platform has been the unjust depiction of the Muslims as an evil entity aiming to undermine the Sinhala Buddhists ,these circles close to the BBS said it could be explained away as a actical necessity. When queried about The BBS campaign about the Muslim population increasing as opposed to the Sinhala population decreasing and also whether the Sinhala businessmen financing the BBS to undermine Muslim business competition would like the Muslim unit idea, the sources said that these problems could be resolved easily as the Muslim unit would not influence policy matters. While many regard the idea of a Muslim unit within the BBS as a “joke” the organization is taking the idea very seriously. It also has the backing of the BBS “godfather”in the upper echelons of the defence establishment. Whatever the plans and hopes of the Bodhu Bala Sena it remains to be seen whether the victimised Muslim community would join the “ethno religious fascist”organization for whatever reason envisaged.